Moscato, Muscatel, Muscat… what’s the difference between them? Just the names, actually. Rather than just being one grape, Muscat includes a family of grapes in a range of colors (from white to brown, or to near black.) For instance, Moscato is the Italian name and Muscatel the Spanish. Here in the U.S., Moscato is making its mark and has become the hot wine of the moment. Some would say sweet versions of Moscato are ideal for the American sweet tooth; it’s also an easy wine for the new wine drinker to love. 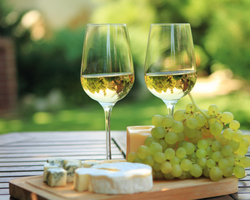 For a perfect spring day, pack a picnic with a chilled bottle of Temecula Valley Moscato and pair it with good cheese, buttery crackers and seasonal fruit. 1. Muscat is the only fine wine grape that doubles as a table grape. 2. Twitter buzzes with an average of 250 tweets an hour about people drinking their Moscato. 3. In addition to Moscato, Muscatel and Muscat, this common white variety is also known as Muscadel, Muscat Blanc and Muscat Canelli. 4. Virtually all pink Moscatos gain their hue from a splash of red wine, not skin contact. 5. The breadth and number of varieties of Muscat suggest that it is perhaps the oldest domesticated grape variety, and there are theories that most families within the Vitis vinifera grape variety are descended from the Muscat variety. In just a few weeks, your tummy will be rumbling and your mouth salivating with the promise of the once-a-year feast that is Thanksgiving. America’s biggest food holiday serves up the chance to do some serious (and seriously fun) wine and food pairing. 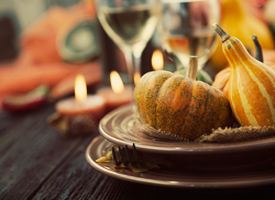 Here in Temecula Valley, Southern California’s Wine Country, we’ve got the perfect wine pairings to go with each Thanksgiving course. No matter what your budget, this simple guide will have your friends and family giving thanks to you for making their holiday meal extra special. These bright yet mellow whites pair well with lighter dishes to kick off your Thanksgiving meal. The floral notes of light white wine complement a fall salad of pears, blue cheese and walnuts; a selection of fruit and cheeses match nicely with a Chardonnay; and light Pinot Grigio will sing next to your pumpkin soup. 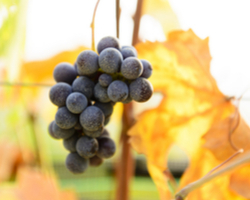 The spicy notes derived from these unique wine grapes pair especially well with stuffings and gravies seasoned with holiday herbs like sage, thyme and rosemary. Having a vegetarian Thanksgiving? 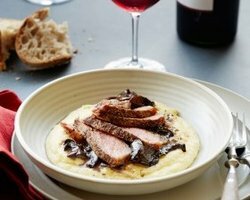 These wines work well with earthy mushroom and winter squash dishes too! Whether it’s wine or food, everyone looks forward to the main course. The dark fruit flavors in these big reds will enhance similar flavors in your herb-rubbed turkey or peppered roasts. Whether you’re serving poultry, lamb or beef, all three are bold enough to stand up to a rich meat course. Your Thanksgiving meal isn’t complete without dessert, and no dessert is complete without wine – at least that’s how we feel! Apple pies and pear tarts are practically made to pair with Ponte’s sweet moscato, where red delicious apples, kiwi , pears, and apricots come together nicely with honeysuckle and jasmine undertones. Or try the People’s Choice Blind Tasting award winner, Briar Rose’s Estate Riesling with your fruit tarts or pies. And for a special treat, buy a bottle of Renzoni port to pair with a fudgy chocolate cake. Looking to simplify your evening by serving one wine from start to finish? Any of these four, well-priced wines fit the bill. Each is lighter on the palate, with only subtle hints of sweetness making them suitable to drink from appetizers all the way to dessert. Bon appetit! 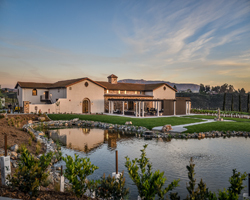 Situated on the hilltop above Rancho California Road, Avensole is Temecula’s newest winery. Formerly Van Roekel Winery, this hilltop estate has long been known for its old-growth vines producing some of Temecula’s finest grapes. The property was purchased by the Lytton family in 2014 and has been extensively remodeled, includes a new restaurant, a marketplace with both wine and craft beer bars, a tasting room, a new indoor-outdoor wedding venue, and park-like setting with pond. The Lytton Family is committed to using the property’s premium fruit to produce some of Temecula’s finest, premium wines. Their grand opening is on Saturday, April 9th…be sure to stop by! Back in 2001,the Fazeli family decided to visit the Temecula Valley. It was just a relaxing day trip to explore the local wine country and at the time, no one realized that this was the beginning of what was to become a life changing adventure. The Fazeli’s fell in love with the Valley and purchased land to grow some grapes and maybe make a little wine. But BJ Fazeli doesn’t know how to do little! What started out as a hobby soon became the passion that resulted in the creation of Fazeli Cellars. They started with a small tasting room in Old Town Temecula and soon broke ground on their new winery on the De Portola Trail in Temecula Valley Wine Country. Located in the beautiful valley of Temecula, California. 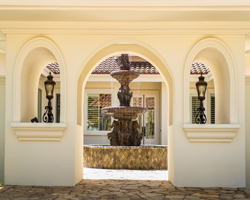 This picturesque property is owned and operated by Bob Olson, who also owns Danza del Sol Winery. 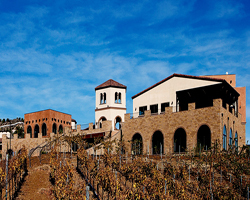 Masia de la Vinya, (roughly translated ‘manor house of the vineyard’) has a heavy Spanish influence in the wines and a Southern California ambiance, beautiful panoramic views and a friendly and knowledgeable staff. Formerly Masia de Yabar, Masia de la Vinya offers quality wine with a Spanish influence, affordable pricing , stunning views, and a casual wine tasting experience like no other in the valley. 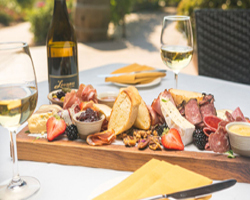 Posted in Winery News | Comments Off on Welcome New Temecula Wineries!